All the practical information you need to know about Wollumbin National Park. Head southwest towards Uki along Riverview Street, which becomes Kyogle Road, and then Uki Road at Byangum Bridge. Approximately 12km from Murwillumbah, before you reach Uki, turn right into Mount Warning Road. Check out the Bicycle information for NSW website for more information. For information about public transport options, visit the NSW country transport info website. 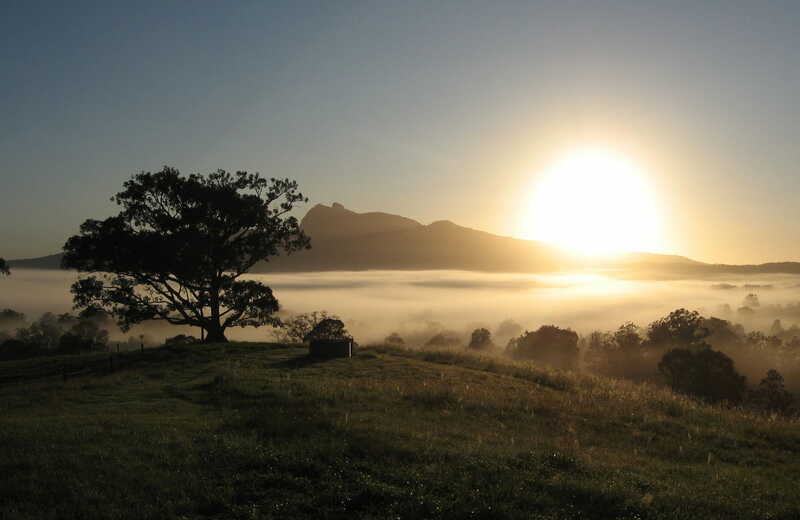 There are lots of great things waiting for you in Wollumbin National Park. Here are some of the highlights. Look out for macropods and young birds as they prepare to head out by themselves and find their own home range. During this season, the forest floor comes alive with colour and activity while the canopy blooms with flowers and bears fruit above. Birds display their breeding plumage while animals taking advantage of the free bounty. The sweet fragrance of nectar fills the forest to entice insects, birds, bats and mammals. The frequency of spectacular afternoon storms means this can be a great time for photographers. Enjoy the clear blue skies common during this season of stable highs which dominate the Northern Rivers region in winter. Explore the scenic wonders of the lush, World Heritage-listed rainforests of northern NSW on the meandering Rainforest Way. Uki is just one of the small villages that you'll pass through - it's certainly in one of the most scenic locations. Murwillumbah is rich dairy, sugar cane and banana country. It's located on the banks of the Tweed River and set in the Tweed River Valley against a backdrop of rainforest-clad hills. Mullumbimby sits on the Brunswick River and is overshadowed by subtropical hills.